VietNamNet Bridge - Among young artists who play stringed instruments in Vietnam, Bui Cong Duy is known as a musical phenomenon, particularly after he won first prize at the International Tchaikovsky Music Competition for Young Violinists in Saint Petersburg, Russia in 1997. 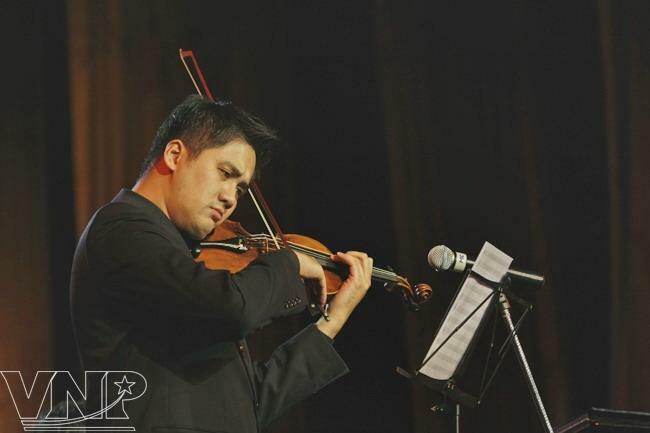 Violinist Bui Cong Duy (2012). Violinist Bui Cong Duy was born into a family that has a tradition of music. At the age of four, he was taught violin by his father, violinist Bui Cong Thanh. 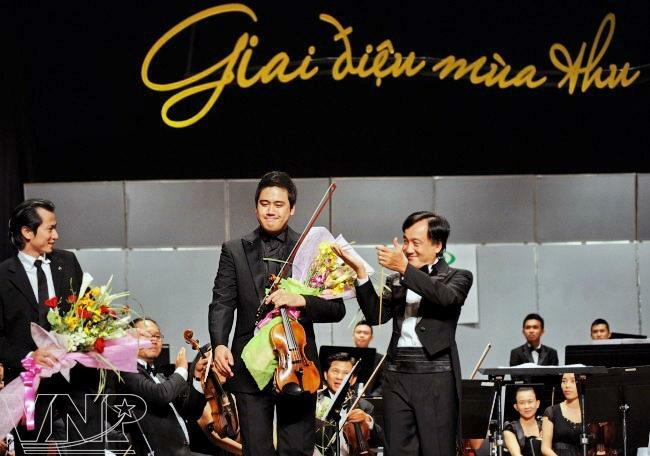 Inheriting the sensitivity and love of music from his parents together with working hard, he won second prize at a violin competition held in Ho Chi Minh in 1989 at the age of eight. When he was nine years old, Duy was honoured with the Most Talented Violinist award at the Concours Autumn 1990, a national contest which aims to recognize outstanding young Vietnamese musicians. At the age of ten, Duy went with his parents to live and study in Russia, which is considered to be the world’s cradle of music. Here, he attended an intermediate course on violin at the Glinka School of Music where he was taught by famous music professors, including Gvozde and People’s Artist Bochkova. Thanks to his great effort and the enthusiastic help from his teachers, Duy sharpened his talent by winning several awards at international competitions, including first prize at the Demidov International Music Contest in Ekaterinburg (Russia, 1993), First Prize at the International Music Competition “Z.Bron” (Russia, 1995), and most importantly, First Prize at the International Tchaikovsky Competition for Young Violinist (Russia, 1997). In 1998, Duy continued his studies at the Tchaikovsky National Academy of Music in Russia and then successfully defended his Ph.D thesis at this world’s leading music academy. 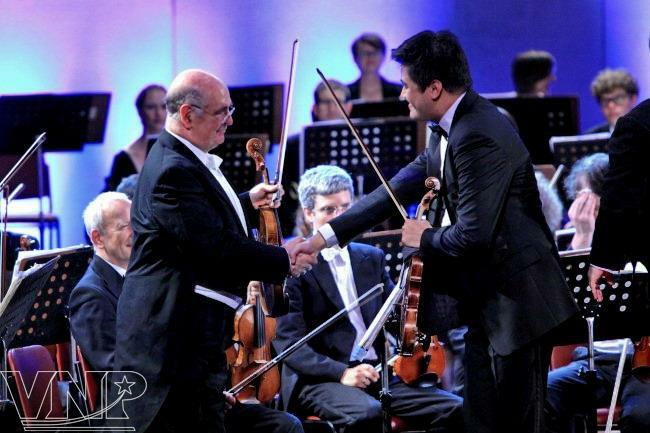 Over the years, he has performed with famous chamber orchestras such as the Novosibirsk Philharmonic Orchestra, the Saint-Petersburg Philharmonic Kapella Orchestra and the London Festival Orchestra in many countries like Japan, German, Poland, England, Russia and France. In 2006, he was invited to work at the Vitous Moscow Chamber Orchestra, Russia where he was the first foreign artist in the history of its establishment. After working with this orchestra for nearly one year, Bui Cong Duy decided to return to Vietnam with a desire to train a new generation of musicians in Vietnam. Apart from participating in great performances, the leading Vietnamese violinist works as the Head of Stringed Instruments Faculty of the Vietnam National Academy of Music. Duy has trained many young musical talents for Vietnam, namely Nguyen Linh Nguyen, 16 years old, who won second prize at the “Mozart International String Competition 2011” in Thailand and Trinh Dan Nhi, 10 years old, who won second prize at “The 4th ASEAN International Concerto Competition 2011” held in Indonesia. Talking about the classical symphony in Vietnam, Bui Cong Duy said that the special feature is that there are many music genres that the audience finds difficult to listen to for the first time. For this reason, the number of audiences who have a feel for this music genre is still modest. In recent years, positive changes have been seen in classical music in Vietnam. Besides small programmes held in public areas, such as streets and parks, Vietnam has started organizing great performances on an international level to please the audience and provide favourable conditions for domestic artists to get to know each other. However, to further develop the musical genre that can make more contributions to the country’s music, both the state and social community should pay more attention to training and other factors. Recently, violinist Bui Cong Duy and Germany’s famous Berliner Symphoniker Orchestra had a successful performance at the Hanoi Opera House. It took Duy and his group two years to prepare for this great event and as a reward, the Vietnamese audience had a chance to enjoy a hearty and high-ranking evening of music. Bui Cong Duy performs at a concert entitled “Melody of the Autumn”. 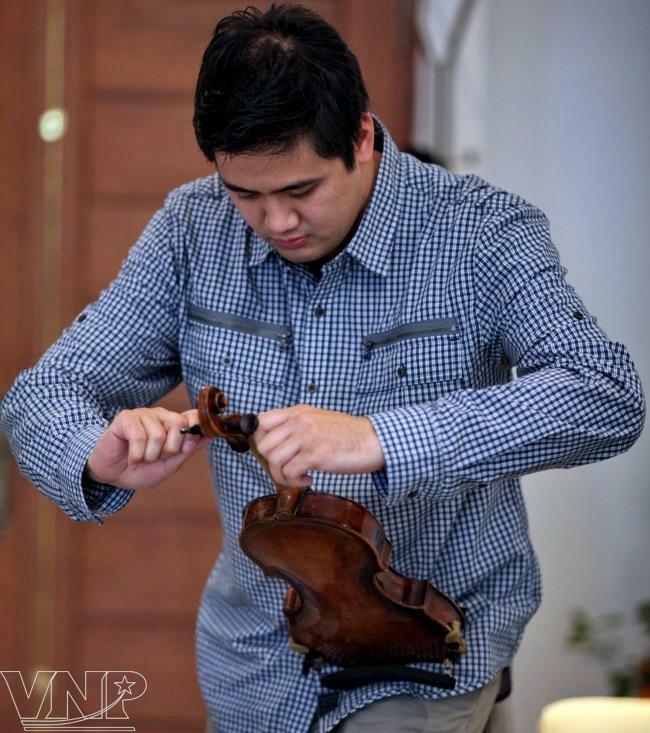 Bui Cong Duy takes care of his violin. 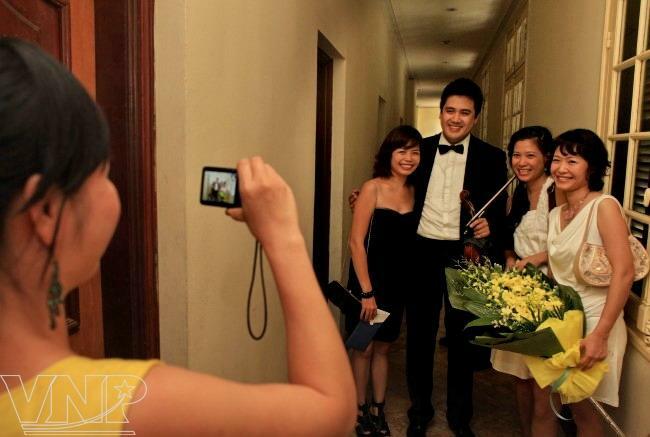 Bui Cong Duy and some fans pose for a photo. 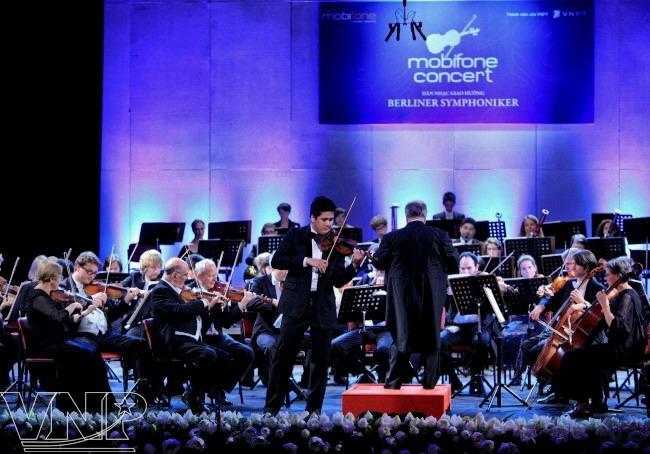 Duy performs with the Berliner Symphoniker Orchestra at the Hanoi Opera House. Bui Cong Duy and violinist Maile Hans from the Berliner Symphoniker Orchestra.